Who ever said, "you can't tell the players without a scorecard," must had Kansas City Southern in mind. 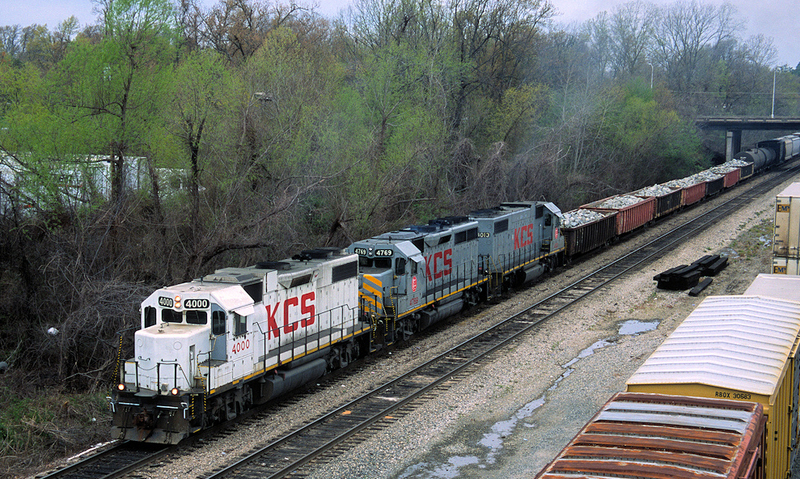 For example, KCS GP38-2 #4000 was delivered in January 1974. In the mid-2000s, the four-axle geep was re-#d to 2024. By the end of the decade, it had donned the retro-belle look and road number 1918. The loco went in to the shop for rebuilding in 2013 and exited as KCS GP38ECO 2037. The David Hawkins photo was taken on 23 March 2002 in Shreveport, LA.